It’s a perhaps predictable triple win for the cars in red here. Challenged only by GT3 Champs Tech 9 and fan favourites (and double race winners) Embassy Racing. But for sheer speed, consistency, professional presentation – indeed the whole package - there was only ever going to be one result here and it is a second consecutive win in this category for a team which was being openly approached by the organizers for the step up to the FIA GT Championship as early as the very first round of the British Championship . 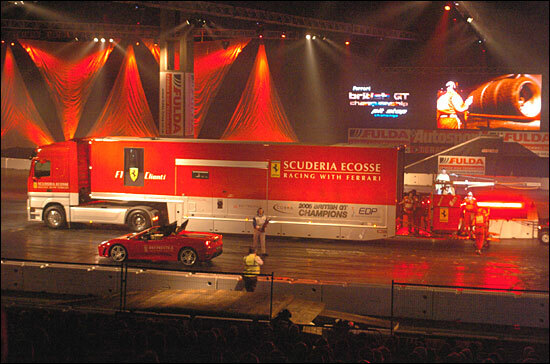 The dailysportscar.com United Kingdom Team of the Year 2005 is Scuderia Ecosse. “Simply the Best” - Malcolm Cracknell. Here they are in action at Autosport International.